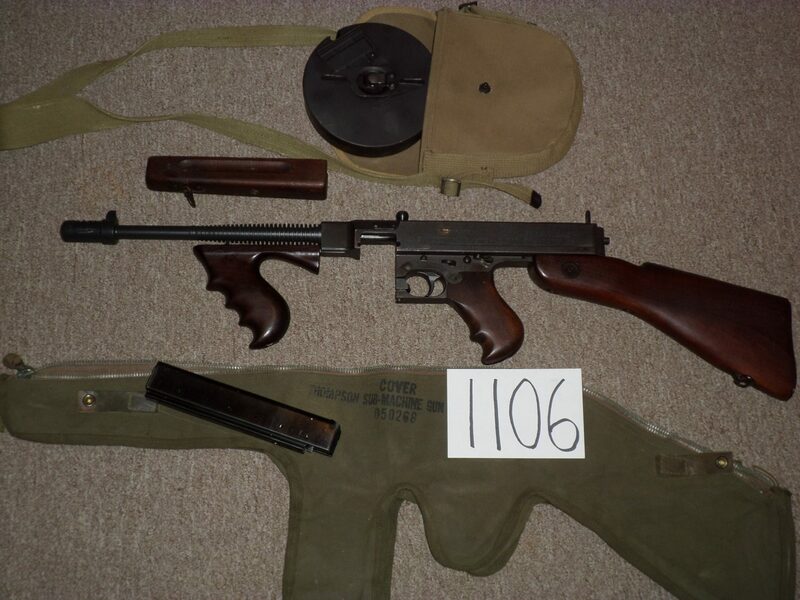 Auto Ordnance 1928 Thompson with excellent original Auto Ordnance drum and original GI case. The US stamp has been removed and a "C" added to the serial number. 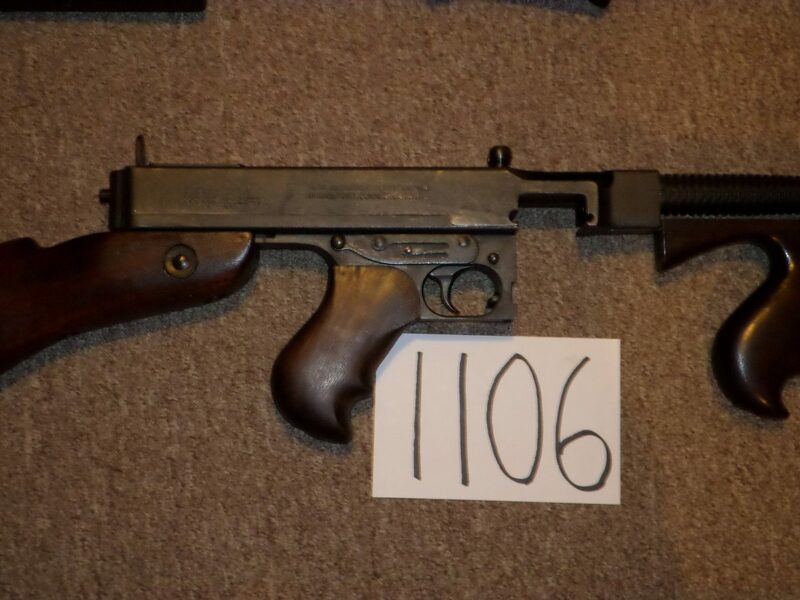 These were sold to police depts. after WW2. 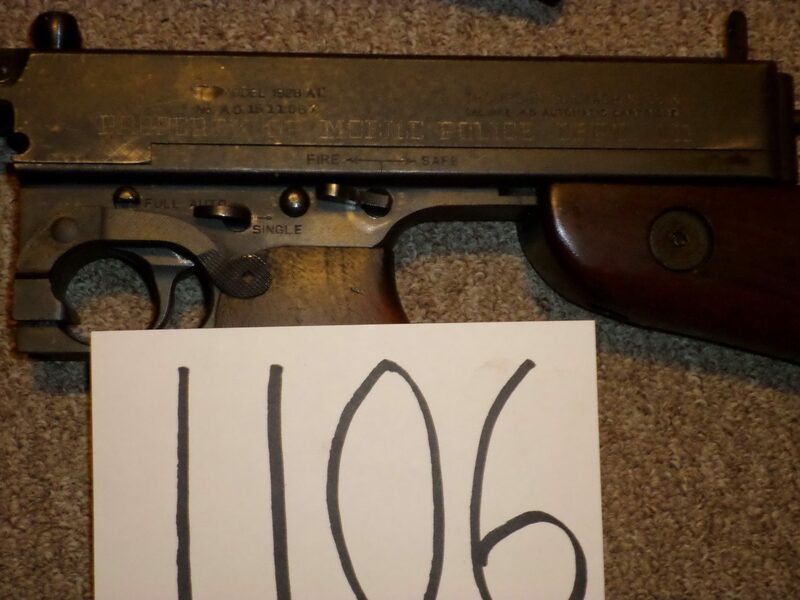 The gun is excellent condition and has a savage-marked bolt. Both horizontal and vertical stocks a included. Nicely marked "mobile police dept" (Alabama) on left side. Original Bridgeport-marked magazine included. Nice example.